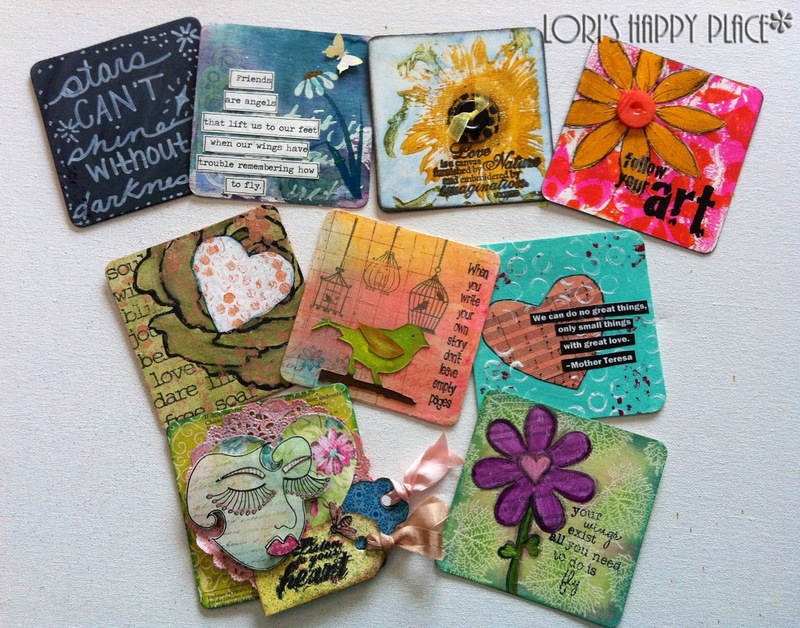 This month, I participated in a coaster swap with Tracy Weinzapfel and some fabulous online friends. These ladies are all extremely talented and I love having a small piece of their art now to show off in my home. Thank you so much ladies. I absolutely love my coasters!! They are all amazing - such unique miniature works of art to treasure. Hi Lori - Love this post!